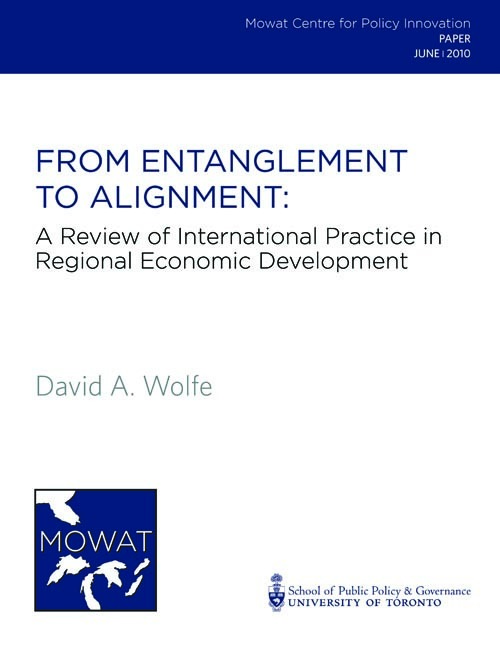 This paper provides a survey of international practice with regional economic development policy, with a focus on the European Union, the United Kingdom and the United States. This research finds that new approaches to regional economic development are playing an important role in supporting innovation and economic transformation in these jurisdictions. The creation of a new regional development agency for southern Ontario affords an opportunity to implement a new economic development model in Canada that reflects the growing consensus on international best practice. The establishment of FedDev Ontario, a regional economic development agency for Southern Ontario, creates an opportunity for the federal government to support innovation and economic transformation within Ontario. In determining how to invest its resources, FedDev should learn from recent international experience with economic development and the new understandings that have emerged over the past two decades. Regional economic development agencies have often been criticized in Canada for having failed to narrow economic disparities in the country. Yet, around the world, governments continue to invest in regional economic development. This paper provides a survey of international practice with regional economic development policy, with a focus on the European Union, the United Kingdom and the United States. This research finds that new approaches to regional economic development are playing an important role in supporting innovation and economic transformation. The recent experience of regional development policy in these three cases shows the need to focus resources on enhancing regional strengths in support of those sectors and clusters with the potential to achieve sustained economic growth, rather than seeking to equalize outcomes, eliminate disparities or engage in a zero-sum game of subsidizing businesses to choose one region over another. Regions vary considerably in their growth potential and innovative capacity, and the most effective strategies build on local strengths. This place-based approach underlies regional economic development in other countries. The research also shows a consensus has emerged on the need to align resources more effectively across varying levels of government, different departments and various sectors of the community in support of common economic strategies. This requires collaborative planning processes to engage a broad cross-section of local and regional actors in the formulation and implementation of regional strategies. This can be understood as the strategic management of a city or region, with an economic development agency facilitating this management and playing the part of one actor in this management. This collaborative governance must mobilize those outside of government if it is to be successful. Successful economic development initiatives around the globe typically involve local actors in strategy development and program design. Further, all levels of government spend considerable resources on innovation related programs and economic development related initiatives. Too often, there is insufficient policy alignment across different program areas and levels of government. The creation of a new regional development agency for Southern Ontario affords an opportunity to learn from the growing consensus around best practice in regional development policy in Europe and the US. FedDev can play an important role in developing ‘place-based’ policies that support the regional and urban economies in southern Ontario.